There’s No Such Thing As Bad Led Zeppelin Album! Let me walk you through with the one that is arguably the best. 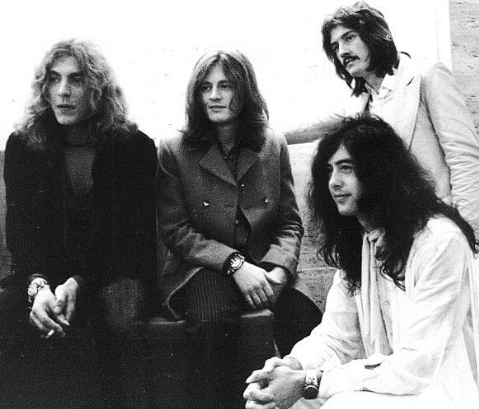 Led Zeppelin I is awesome – but it is closely similar to John Mayall or Cream’s sound. But every blues riff and the rhythm section is a work of genius. Led Zeppelin II – the heaviest Led Zeppelin album and fans favorite. It’s indeed a great album – but it only gives a single vibe throughout. Doesn’t have the depth variety of later albums. Led Zeppelin III – the acoustic album, and one of their amazing concept album. It showcased the poetry and subtlety of the Led Zeppelin sound. And finally Led Zeppelin IV– this is where they really hit it and found their complete sound. Led Zeppelin IV gets overlooked because it is always overplayed. Like you can hear Stairway To Heaven at every radio station over and over again. But, the thing is – it can still give you chills when every time you hear Jimmy Page pick scratching his guitar strings at the album’s opening. And then comes “Black Dog” that staggers and knocks you all the time with the teetering riff. Everything about it is just amazing, the lyrics, the beat, and the bassline. A song that is ready to kick asses. Robert Plant’s voice was so powerful on this album, you can hear his voice seep through on each track. All of their albums are epic, but Led Zeppelin IV encapsulate what Led Zeppelin is all about. It contains arguably their greatest contribution in the history of rock n’ roll; Stairway to Heaven and the awesomeness of Misty Mountain Hop, along with the heavy classic, When the Levee Breaks…. And it is safe to say that somewhere in the world, someone is playing one of these songs or a radio station playing it at any given moment. Not many albums can top that by any one band.